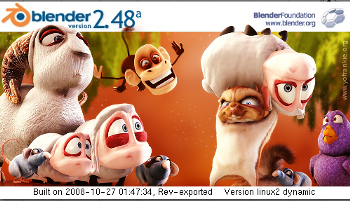 This is most helpful and I hope that a lot of artists will take advantage of Paldo as it is one of the best distros out there that gives us access to the latest versions of blender, gimp, inkscape, freemind and recordmydesktop. Could you look into this and maybe track down what gives? Sorry. There where some typos. You've to create specs and sources dirs and not a spec dir. it's Friday afternoon (midnight your time) and building blender according to your instructions still fails. Did you revise your tutorial already? Because it is of great value for us to build our own version of blender, it would be great if we could go over the steps when you're in the irc channel. I have tried it about five times and it always fails. Please send me an email if you have an hour to spare? I'll make sure to have the first three steps completed and the tar ball ready - so not to waste too much of your time. Updated scons, but still some errors in r17260. first of all, THANK YOU for the video tutorial!! That makes things just so much easier for us graphics guys who don't program. Hope to catch up with you in the channel! Well in stress I disabled the game-engine also in the working r17199.